Once you sink back into this supportive loveseat, you will feel your body melt into the resilient cushions, just like a slow stream of molasses. The rich smell of real leather, softness against your skin, and cool touch of the metal studs are a sweet treat for your senses. You can depend on this durable construction, built by American craftsmen. Resilient cushions provide the support you crave at the end of the day. 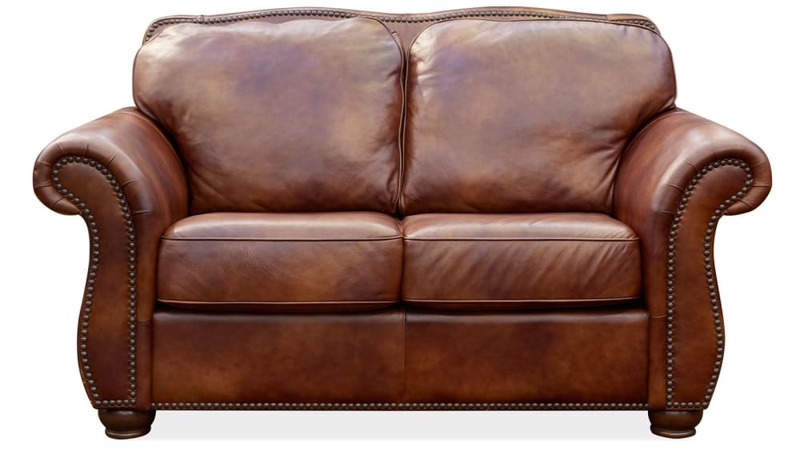 Molasses-colored leather is soft to the touch. Nailhead trim borders the entire frame. Wooden bun feet provide a stable base for this sturdy loveseat. 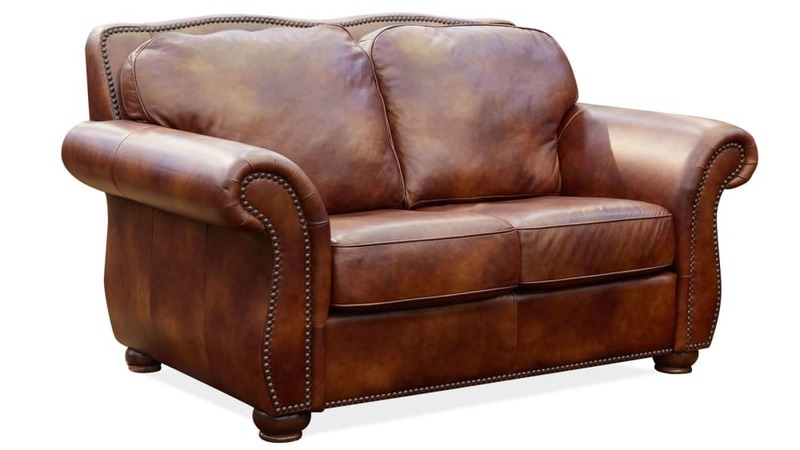 Show your stars and stripes for the American craftsmen who built this loveseat with you in mind. The perfect combination of high-quality materials and precise construction come together to make this your favorite seat in the house. Finish your decor project by ordering this warm and cozy loveseat TODAY! 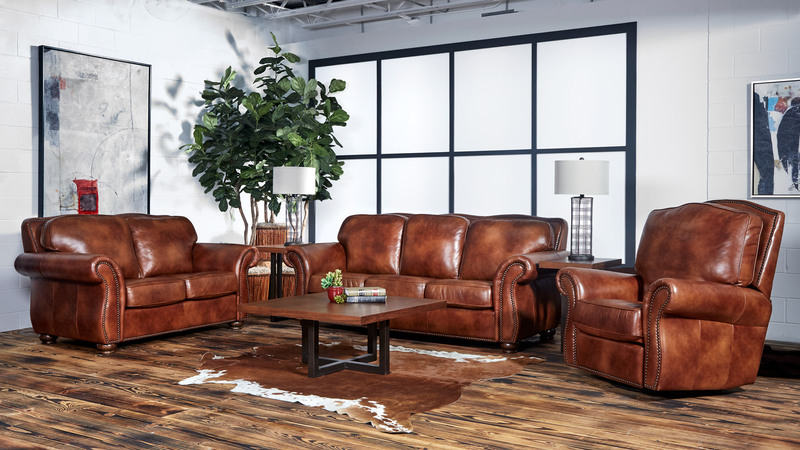 You will finally be able to enjoy your masterpiece, instead of wondering when it will be complete, thanks to Gallery Furniture's same-day-delivery guarantee.